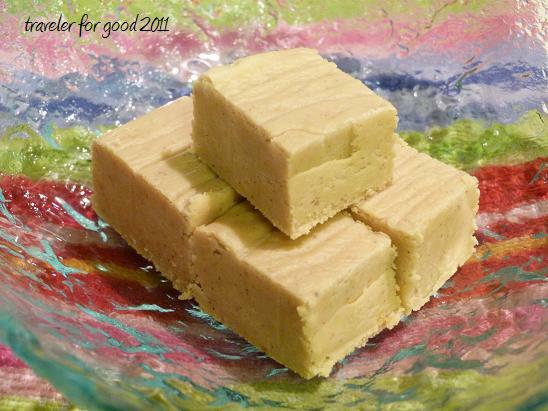 I've never made any fudge that wasn't the traditional chocolate, so I was intrigued when I saw this recipe over on The Cultural Dish﻿. It is a great fall treat and got good reviews from everyone I shared it with. Fudge is by nature VERY sweet. I posed the question on facebook as to how I could make fudge sweeter. The #1 recommendation? Frost it. That made me laugh. Fudge is the kind of treat that you can cut into small pieces in order to share the autumn love with more people. The original recipe suggested a 9x13 pan (or an 8x8 for larger pieces). I compromised by using my 9x9 silicone pan. It's hard to believe that Thanksgiving is already next week. I love that Thanksgiving because it is not commercial - simply a day to enjoy food with family and friends. My sister and I have been adopted by a family for the holiday...they are worried that we've never had "greens" at a major holiday meal before. I've been assigned to make a pecan pie. I'm going to try the Maple Bourbon Pecan Pie recipe I saw in Cooking Light. If it's successful, you'll see it posted here. What are you thankful for this year?